Free Shipping Included! US Rigging 5/8″X12′ WIRE CORE FLIPLINE by US Rigging at Wildly World. MPN: RAR005. Hurry! Limited time offer. Offer valid only while supplies last. 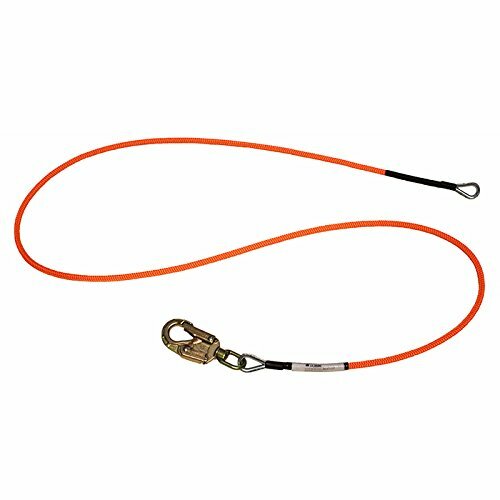 16-strand bright neon orange polyester cover is tightly braided to resist abrasion and wear over a Flexible (7×19 construction) and heavy-duty galvanized wire rope center to protect against accidental cutting of the flipline. Comes with an ANSI certified Z359.12-2009 Swivel Eye snap hook. Made in the USA. If you have any questions about this product by US Rigging, contact us by completing and submitting the form below. If you are looking for a specif part number, please include it with your message.